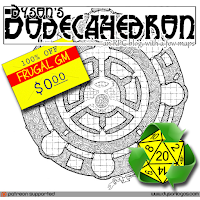 It's been a good three-and-a-half years since Dyson's Dodecahedron was 1st featured as a Free GM Resource. A lot has happened with Dyson over the last 30 months....a....lot. Probably the biggest "thing" for Dyson is his Patreon Campaign where he's in the top tier of earners for his work, enough that he's pretty much a full-time cartographer now. Good for him, and also good for us. Unless you've been living under a rock you should know that Dyson's Dodecahedron is an awesome place for RPG maps, but....and this is the reason for the re-visit, Dyson has made a larger number of his maps free for commercial use. 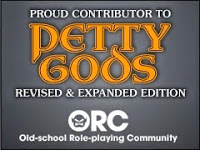 It's kind of a big deal, and you should go specifically check out these maps....maybe his Patreon Campaign as well.